North Carolina's plan to become an East Coast biofuels hub is slowly fading. Of the seven projects announced over the past two years, only two are on track for construction. Three appear dead -- with one sued by its investor, Richard Branson of Virgin Airlines. Two others are in limbo. The most recent projects delayed are a $30 million biodiesel refinery near Wilmington and a $20 million biofuels park near Spring Hope. Backers blame record prices and tightening credit. The price of corn, which could average $6 a bushel this year, is raising operating costs for facilities that produce ethanol or biodiesel from corn or corn oil. At the same time, prices for some biofuels are under pressure and money is hard to come by. That puts companies looking for investments or loans to build biofuels plants in a tough spot. "Investors are not as interested in doing what they were willing to do six months ago," Raleigh consultant Doug McCullagh said Wednesday. The International Grains Council Friday forecast the 2007-08 world grain crop at 1.662 billion tons, a rise of 3.1 million tons from IGC's February forecast and up 5.7% on the year. 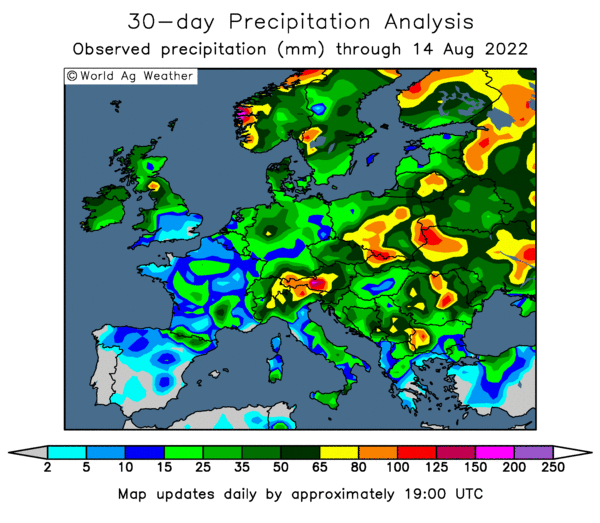 "Growing conditions in the northern hemisphere have been reasonable so far and, with average weather from now on, yields should increase in several key producers," said IGC. Global wheat output was forecast at 646 million tons, which is up 42 million tons from 2007-08, but unchanged from an IGC a month ago. E.U. wheat output will rise by 15.4% in 2008-09 to 138.4 million tons. IGC added that global 2008-09 barley output would be up 10% on the year at 148 million tons. Paris-based May wheat dropped EUR10.75 a metric ton, or 4.1%, to close at EUR249.50/ton with 3,621 lots moved. Earlier, May set a 2-month low of EUR246.25/ton. On the week, Paris May wheat fell EUR17.5/ton, which follows the previous week's drop of EUR17/ton. London-based May feed wheat fell GBP5.5, or 3%, to end at GBP179/ton with 401 lots moved. November dropped GBP1.50, or 1%, to end at GBP150/ton with 545 contracts traded. On the week, U.K. delivered feed wheat prices were mostly down GBP1.50/ton-GBP7/ton. Also pressured with the rest of the general commodity sector, Paris-based May rapeseed fell EUR15.25, or 3.3%, to end at EUR445/ton, with 1,474 lots traded. In the Paris corn market, June ended down EUR3, or 1.5%, at EUR193.50/ton, with 684 lots traded. 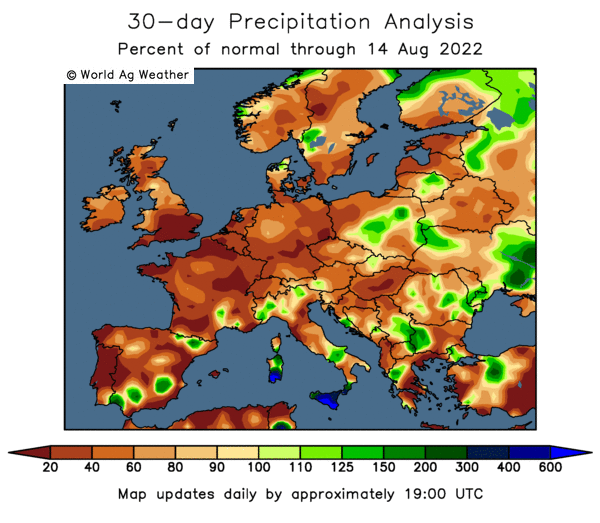 On Thursday, the International Grains Council forecast E.U. wheat output will rise by 15.4% in 2008-09 to 138.4 million tons. 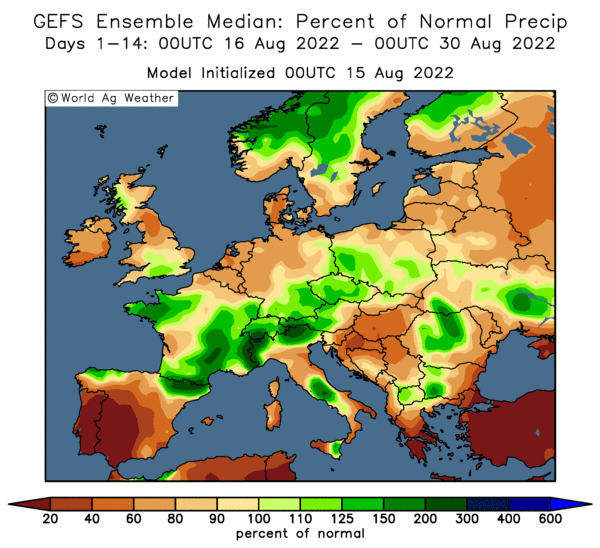 Output was seen up in most areas due to higher forecasts for yields and area, except for Spain because of dryness issues there. In a similar move, the E.U. 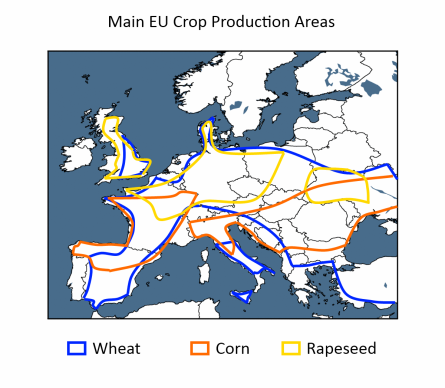 's organization of grain traders, the Comite du Commerce des Cereales, or Coceral, forecast E.U. soft wheat output to rise by 15.1% on the year to 128.6 million tons. Coceral also looks for a combination of increased area and higher yields on the year following last year's weather woes. Brokers also pointed to added nervousness in the grain and oilseed futures ahead of Monday's U.S. Department of Agriculture prospective plantings and quarterly stocks report. CME: May corn settled 5 cents higher at $5.60 1/2, May soybeans settled 60 cents lower at $12.67 1/4, May soymeal closed $6.50 lower at $342.50, May soyoil ended down it's new 250 point limit at 54.98 cents/pound & May wheat was 25 cents lower at $9.89 per bushel. All commodities closed sharply lower Friday with the exception of corn on ideas that the USDA planting estimate released before the opening Monday will show a huge reduction in acres. Whilst it seems pretty much unanimously agreed that US farmers will plant less corn in 2008 and more beans, the exact magnitude of the switch remains unknown & opinions vary quite widely. In 2007 US farmers planted a record 93.6m acres encouraged by ideas that ethanol demand would increase hugely and underpin the market. This time round that confidence isn't there and most forecasts are generally between 85.7 million and 89.8 million acres, putting the average at 87.387 million. Goldman Sachs forecast Friday that U.S. corn acreage will fall 10.2% 84.1 million acres, much lower than the average industry estimate. There is some talk of traditionally early planted fields not being sown to corn as yet due to unfavourable conditions, whilst everyone acknowledges that it is still very early days. There is also much talk of the higher input requirements of corn & the sky-high price of fertiliser, and some reluctance to plant corn-on-corn. There is also talk of the potential to double crop beans with wheat in some areas. However dig a little deeper & you will still hear talk that for many corn is still a more profitable crop than beans. There is also talk of soybean seed being difficult if not impossible to find. Check the blog Monday afternoon for the latest news & views once the figures are out. Liffe's Paris-based May milling wheat has touched -EUR10.50 today, or 3.9%, falling to EUR249.75/ton, near 2-month-low. There is follow-through weakness from Thursday's fall and further spillover pressure from CBOT wheat. Broker says speculators also trying to roll out of long May positions. Standard cash wheat delivered to Rouen also -EUR7 at EUR260/ton. The London May feed wheat future is down £5 to £179.50. The United States Department of Agriculture is scheduled to release 2008 U.S. planting intentions estimates and quarterly grain and oilseed stocks figures Monday, March 31 at 13:30 BST. Generally, analysts see a decrease of around 7 million acres in corn area, with soybeans seeing a significant increase. For stocks, beans, corn and wheat are expected to be well below the previous quarter, with some analysts projecting record or near record quarterly use. Ahead of the report, 2008 U.S. corn acreage is expected to be around 87.387 million acres, in a range of 85.7 million to 89.75 million. 2007 U.S. planted area totaled 93.6 million acres. Soybeans are pegged at 71.526 million acres, compared to the 2007 total of 63.631 million; the range of estimates runs from 70 million to 74.239 million acres. Total U.S. wheat planting is estimated at 63.625 million acres, compared to the year ago figure of 60.433 million. By category, winter wheat's seen at 46.986 million acres, which would be up a little less than two million acres, other spring wheat's estimated at 14.147 million acres, an increase of 850,000, and durum's pegged at 2.492 million, with a range of 2 to 2.9 million acres. David Kohli of Ford and Young Futures is projecting 2008 U.S. corn acreage at 84.5 million acres and sees soybeans at 73.5 million acres. U.S. corn stocks, for the quarter starting March 1, are estimated at 6.950 billion to 7.254 billion bushels, with an average guess of 7.076 billion bushels. The December 1 report had corn stocks at 10.269 billion, so if realized, the implied usage would be a record or near record 3.193 billion bushels. Soybean stocks, on March 1, are seen at 1.352 billion bushels, compared to 2.329 billion on December 1. That'd be implied usage of 977 million bushels and could potentially be the largest for any quarter. The range of expectations runs from 1.290 billion to 1.425 billion bushels. Quarterly wheat stocks are pegged at 647 million to 692 million bushels, for an average of 668 million bushels. The December report put wheat stocks at 1.128 billion bushels, putting implied usage at 460 million bushels, above the five year average of 435 million. CME Corn futures expected to open 1 to 5 lower; soybeans 10 to 20 lower; wheat 13 to 15 lower. Expect a lower opening as traders adjust futures positions ahead of the USDA reports on Monday morning. Trading activity will be mostly from a technical standpoint. HAVING started grazing his cattle at the end of January and planning complete turnout in late March, Tom Rawson believes he will save over £8,000 over the two-month period. He explained this system at Thornhill Hall Farm, Dewsbury, West Yorkshire, to farmers attending a British Grassland Society Event, supported by the Royal Association of British Dairy Farmers and Milk Development Council. Mr Rawson said he was milking 250 cows on 440 acres and operating a low-input forage-based organic system. The original herd of Holsteins was gradually being crossed with New Zealand Jerseys with cows remaining outside for 10 months of the year. The herd came indoors on December 6, 2007, was turned back out during the day only from January 28 and would be fully out by the end of March. These dates were very similar to what happened in 2006/07, when Mr Rawson calculated a saving of over £9,000 based on the cows being outside at least four hours per day for two months. From January to March 2007, Mr Rawson calculated an increased yield from grass at +5 litres in February and +8 litres in March on 203 cows, saving 22.7 tonnes of concentrate at £237 per tonne – a total of £5,380. Grazing instead of making/buying in 120 tonnes of silage (priced at £24 per tonne) saved £2,880. Straw saved from bedding, 18 tonnes at £33, saved £594 and power costs reduced by scraping up for only half an hour per day, 30 hours at £9, saved £270. 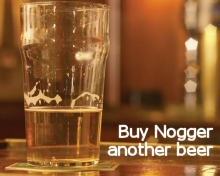 This gave a total saving of £9,124 over the two month period. Argentina's president Cristina Fernandez has said she will not negotiate with striking farmers until they called off their protests over increased export taxes on agricultural commodities. The nationwide farm and ranch strike, now in its third week, has led to severe food shortages in shops and has also paralyzed exports of soybeans, beef and wheat. The latest crisis was sparked by the government's decision to raises taxes on soybean exports from 35 percent to 45 percent and slap new taxes on other farm exports. The president said in a televised address that she would not talk "with a pistol pointed at the head" and that there could be no dialogue if the strike measures aren't lifted. "Lift the strike and we'll talk," she said, adding that the protests were directed "not against the government, but against the people". Well in Cristina that's really going to have them quaking in their boots. Like most women, you can tell when she's lying, her lips move. And from where I'm standing "the people" seem to be behind the protests not against them. Beans are consolidating after this weeks steep rise, but the Argy situation supports the nears. Wheat is bouncing back from last night's declines as Egypt hovers in the wings. Corn is dithering around like an expectant father. There could be some profit-taking/book-squaring tonight & tomorrow ahead of the USDA Monday. Certainly it's difficult to imagine many players wanting to establish fresh longs ahead of the weekend. This summary is based on reports from exporters for the period March 14-20, 2008. Wheat sales of 379,900 metric tons were much improved from the previous week and 57 percent over the prior 4-week average. Add to this sales of 182,900 MT for delivery in 2008/09 giving total net sales of 562,800 MT. This compares to expectations of 450,000 to 650,000 MT. Corn sales of 632,500 metric tons were 16 percent under the previous week and 9 percent below the prior 4-week average. Add to this sales of 97,800 MT for delivery in 2008/09 giving total net sales of 730,300 MT. This compares to expectations of 650,000 to 850,000 MT. Soybean sales of 369,600 MT were down 16 percent from the previous week, but unchanged from the prior 4-week average. Add to this net sales of 162,700 MT for delivery in 2008/09 giving total net sales of 532,300 MT. This compares to expectations of 350,000 to 500,000 MT. Soymeal sales of 156,800 MT were 11 percent below the previous week, but 25 percent over the prior 4-week average. Add to this sales of 22,000 MT for delivery in 2008/09 giving total net sales of 178,800 MT. This compares to expectations of 100,000 to 150,000 MT. Soyoil sales were 42,000 MT. This compares to expectations of 10,000 to 20,000 MT. National Farmers’ Union president Peter Kendall has warned the Government that backtracking from its biofuels policy would stifle the UK renewable fuel industry and harm the global environment. Mr Kendall leapt to the defence of the biofuels industry after Defra’s chief scientist launched an outspoken attack on the technology earlier in the week (see below). Mr Kendall insists that there were no environmental grounds to backtrack on the policy. “All of the evidence that we have indicates that biofuels manufactured from crops grown sustainably in the UK, do deliver significant reductions in greenhouse gases as compared with fossil fuels, measured over the full cycle of production and use,” he said. "Delaying the RTFO would deter investment in the technology in the UK. This would mean that the demand for biofuels – which will be there regardless of the RTFO as fossil fuels run out – would be met by fuels produced abroad with less concern for the environment than if they were grown in the UK.," he bleated. I'd have thought that UK livestock farmers might like to have a word in Mr Kendall's shell-like asking him to stand their corner for a change. Wheat 400-750,000 tons; corn 600-900,000 tons; soybeans 300-700,000 tons; soymeal 100-150,000 tons; soyoil 10-20,000 tons. Figures are expected out at 12.30 GMT. Heinz has unfortunately been cleared of misleading the public in ads for its Farmers' Market range of soups. The Advertising Standards Authority have rejected claims that TV and press adverts for the product were misleading. But a further advert only said that the soups contained “selected ingredients from the UK and other countries inspired by Farmers’ Markets”. Objectors included organisations such as Sustain and Hampshire Farmers’ Markets Ltd, and 19 members of the public. They claimed the ads implied that the ingredients came from farmers markets. But Heinz argued that consumers understood that their products were sold by a multinational corporation on a very large scale across the country and would not therefore expect the ingredients to be sourced from farmers’ markets. Judging on the average consumer at my local ASDA I find that very hard to believe. They are pushed to understand why smart price chicken nuggets are so expensive at 50p for 1,000. Oil rose this morning as heavy fighting rocked crude-rich Iraq and as dollar weakness sparked a fresh round of buying. A bomb struck an oil pipeline today in Iraq's southern city of Basra, where Iraqi security forces have been clashing with Shiite militia fighters, an oil official said, the second such attack this week. "The main current fundamental risk for oil is the extended fighting in Basra and this morning's report of a bomb attack on one of the export pipelines will bring a risk premium for the weekend," said Petromatrix analyst Olivier Jakob. Heavy fighting has erupted in a bastion of Shiite cleric Moqtada al-Sadr's militia in Basra, witnesses said, as military operations against gunmen in the southern oil city entered a third day. The ailing dollar, meanwhile, has made commodities priced in the greenback cheaper for those trading in stronger currencies. Some investment from those buying commodities as an asset class has also returned after heavy liquidation and sharp price falls last week. A poor economic outlook, however, as the US flirts with recession, still worried players who reckon oil demand could get hit in the longer term. The pound has extended its gains against the US dollar but it continues to underperform the Euro this am. Although there was no UK economic data released this morning, the market now believes that the Bank of England is on track to cut interest rates next month. In a testimony before legislators yesterday, King admitted that given current market conditions, the central bank is more predisposed to cutting interest rates even though they are in no hurry to follow in the footsteps of the Federal Reserve who has taken historic measures in an attempt to stabilize the credit markets. Nearby beans continue to be supported by the ongoing strike in Argentina. Soybeans on the Chicago Board of Trade gained have 12 percent in the past three days, the biggest such gain since August 4, 1999. Shippers are claiming forece majuere & some sales are being switched to the US further tightening the supply situation there. Beans are down a tad this morning rebounding from these recent gains. However as long as the strike continues it would seem unlikely that we are going to see a resumption of the downward trend experienced over the last month or so. Once the strike is resolved, and of course it WILL be resolved at some point, futures may well give up all of this week's gains & more depending on what the USDA have to say on planting intentions next week. Chinese futures have closed lower this morning and the word on the wires is that "investors are reluctant to buy actively after earlier big fluctuations in agricultural products prices, and there are few signs that the upward correction will last long. The overall environment is not good for commodities markets, as sentimentremains negative in global financial markets, said an analyst at consultancyShanghai JCI." A comment in a report for last night's CME wheat close ("We're going to be swimming in wheat next year") got me thinking this morning. So I decided to do a bit of research into some firm numbers on world wheat production for the coming year. In the UK wheat production could rise 20 percent this year assuming a return to average yields with the planted area set to climb 13 percent, according to analyst Susan Twining of ADAS. "Yields were down last year and even if you work on average yields of 7.8 tonnes per hectare that takes production above 16 million tonnes which is a 20 percent increase," Twining added. Britain's farm ministry has put 2007's UK wheat crop at 13.36 million tonnes, down from 14.74 million lain 2006 with average yields at 7.3 tonnes versus 8.0 tonnes in 2006. Twining said the rise in wheat area reflected the suspension of set-aside, the woes of Britain's livestock sector and high prices for the commodity. In Europe as a whole Strategie Grains is forecasting that European Union (EU) 27 wheat production will skyrocket from 2007’s 111.5 million tonnes to 128.6 million tonnes in 2008 (a 15% increase). They see wheat area expanding in the EU 27 by 4% and yields going up 11% in 2008. Ukrainian wheat production this year is expected 30% higher and wheat area 40% larger than last year. This would put production in the 17.5 to 18. 5 million tonne range, around 4-5mmt up on 2007-08. SovEcon estimates that this year’s Russian wheat crop will come in at 31.4 million tonnes. That is well above the 2002-06 average of 24.8 million tonnes. As we all know the USDA release their US acreage estimates on Monday. Meanwhile, Informa Economics is forecasting that US wheat acres will climb to 63.526 million acres next crop year from this crop year’s 60.433 million acres. That is a 3.093 million acre (5.1%) increase. Using 2007's average yield of 40.5 bu/acre that gives us approximately 125m bushels more in 2008, or 3.4 million tonnes. The Canadian Wheat Board sees the Canadian wheat crop coming off at 28.8 million tonnes, an increase of 8.7mmt (or around 44%) from 2007-08's 20.1mmt. In their February forecast, ABARE increased their estimate of last season's 2007-08 Aussie wheat crop by 400,000 tonnes to 13.1 million tonnes. ABARE sees the Aussies harvesting almost 26 million tonnes of wheat in 2008, an increase of nearly 13mmt, some analysts are forecasting production even higher at a record 27mmt, IF of course mother nature conforms. That would give us an increase of 13-14mmt. The International Grains Council is forecasting world wheat production to climb 42.6 million tonnes (about 7%) next crop year to 646.2 million tonnes. Informa Economics thinks that the 2008-09 number will be 650 million tonnes. Business secretary John Hutton is to call for a "significant expansion" in Britain's nuclear power industry. In a speech to the Unite trade union, he argues the industry should go beyond replacing its 23 ageing reactors, which provide 20% of the UK's electricity. He will call for the creation of a £20bn industry with 100,000 new jobs - making the UK "the gateway to a new nuclear renaissance across Europe". It comes as the President of France - a world nuclear leader - visits the UK. Mr Sarkozy is due to discuss nuclear cooperation when he meets Prime Minister Gordon Brown. Nuclear energy provides about 79% of France's energy. Mr Hutton said "I think if we are really serious about our climate change responsibilities, if we want Britain to be as energy-independent as possible - then I think we should be talking about a significant expansion over and above the current contribution that nuclear power makes. "It's now about 20%. I think it should be significantly more than that, if we are really going to reap the dividend of switching quickly to a proven low-carbon technology like nuclear power." He added: "I think the technology is proven, not just in terms of producing electricity but in terms of safety as well. "In terms of waste disposal, I don't think there is an argument about how it should be done - there is an argument about where it should be done." Regardless of the forecast for U.S. corn plantings theUSDA issues on Monday, the agency will likely hike its estimate in the June plantings report. That's the word from Joe Victor, vice president of marketing for commodity research firm Allendale. For the past four years, the USDA has increased its forecast for corn acreage from March to June, Victor says. The average of the increases is 1.48 million acres, he says. Victor was speaking ata CME Group (CME) info session held in advance of the USDA's March 31 prospective plantings report. The May NYMEX crude and April RBOB gasoline and heating oil contracts are all expected to open above Monday's settles. The higher open is attributed to speculators once again selling the dollar against oil and other commodities as a hedge against inflation and a weak U.S. economy. In addition, recent fighting in Basra, Iraq where much Iraqi crude is produced has raised fears that crude supplies might be disrupted by non-government militant group's intent on controlling the region. Recent reports out of the region suggest there are at least three Shiite groups engaged in combat with Iraqi military forces; some of whom have, in the past, blown up oil pipelines and other oil facilities. The very fact that Iraqi forces are engaging militants should be a positive sign that the government is finally addressing the issue of unity under an elected government. However, it remains to be seen how the military will perform, and naturally how oil infrastructure will be protected. Our early morning analysis suggests that prices will likely stay well into positive territory prior to today's release of EIA inventory estimates for the week ending March 21. Most analysts, including ourselves, have predicted a solid build in crude while calling for sharp declines in gasoline and heating oil. If there are no major surprises we believe prices will come under some pressure. However, we again urge caution as the speculators selling the dollar are out for new records in oil. Bank of England Governor Mervyn King said the central bank is discussing "longer-term'' solutions to the credit crisis with U.K. financial institutions and will stick to current emergency lending plans for now. King said in testimony to lawmakers that any plan of action must require banks' shareholders to shoulder the risk of losses and assist lenders to finance existing commitments, rather than subsidize new business or securities sales. The pound fell from $2.01 earlier in the day to below $2.00 after King's comments. German businesses unexpectedly continue to gain confidence despite record oil prices and a strong Euro weighing on exports. The IFO survey reported an increase in confidence to 104.8 from 104.1 in February, despite predictions of a decline to 103.5. German companies have been able to remain competitive by reducing labor costs and becoming more efficient. China and Russia continue to be a source of growth for Europe’s largest economy, which has allowed it to remain resilient. Meanwhile, Eurozone industrial new orders rose 2.2% in January pulling the yearly gauge up to 7.3%. As the region continues to show strength, the prospect of an ECB rate cut in the near term are diminishing. Which was validated by President Jean Claude Trichet today, when he reiterated his focus on price stability in a speech to European Parliament . The euro rose from $1.5585 to $1.5750. Hard red winter wheat crop condition ratings have improved over the past week, according to the United States Department of Agriculture's National Agricultural Statistics Service. The rise in ratings was attributed to beneficial rainfall in several critical growing areas. However, USDA does note that not all of Texas got the needed rains, and that heavy precipitation in Oklahoma slowed down field work in some areas. As of Sunday, Kansas' crop is rated 48% good to excellent, compared to 42% last week and 72% a year ago. Oklahoma's winter wheat crop is called 43% good to excellent, up 2% from last week. Only 16% of Texas' crop is rated good to excellent, but that's a 1% improvement on the week and 32% is at least in fair shape and could be greatly helped by timely rainfall. The Indian government has begun buying domestic wheat two weeks earlier than usual and hopes to bag more than 15 million tonnes in 2008, a top government official said, a target which if met could eliminate the need for major imports, reports Reuters. The world's second-biggest grower needs around 12 million tonnes of the grain every year to feed millions of poor at subsidised rates and check any spurt in local prices. But in 2006, a poor crop and greater buying by private firms ate into reserve stocks, forcing the government to tap world markets for 5.5 million tonnes of the grain, the first imports in six years. Overseas buys last year fell to 1.8 million tonnes but increasingly costly purchases helped fuel a rise in global prices which have more than doubled in the past year. This year, New Delhi is paying farmers substantially more for their grain to boost purchases. "The fact that wheat procurement has started two weeks early indicates that the wheat crop is good, there is surplus and private companies are not buying," Alok Sinha, chairman and managing director of the Food Corp of India (FCI), told Reutersin an interview on Wednesday. The FCI, which acts as a custodian for foodgrains, usually buys wheat from April 1, but harvests have begun early especially in the western state of Gujarat and central state of Madhya Pradesh and the grain has already reached wholesale markets. Sinha's confidence is shared by others and stems from a government decision to raise the price it pays local farmers for wheat to 1,000 rupees per 100 kg, up from 850 rupees last year. In each of the last two years, private firms stepped in with better offers, cutting into Food Corp's purchases. "I am quite optimistic. It looks like the FCI will be able to buy between 15 to 17 million tonnes of wheat this year, much higher than last two years," said M.K. Dattaraj, president ofthe Roller Flour Mills Federation of India. The Farm Ministry last month said India would produce 74.81million tonnes of wheat in 2008, down one million tonnes from last year. Government officials have since said output would beat expectations as weather conditions have been favourable. In line with the overnights. Most of the strength is in the nears on continued supply scaremongering. The ongoing Argy strike adds support for the nears. Turkey have announced that their planned tender for 250,000mt wheat has been cancelled. This follows hot on the heels of Algeria and "unknown" destinations cancelling wheat orders last week, and will lead to scrutiny of this week's upcoming weekly export sales report from the USDA. Liffe European wheat futures trade modestly higher, in line with last night's US market strength. However, there's a lack of fresh fundamental news and European markets remain firm on the back of a general rise across commodities and the US wheat market. Although the early call on wheat is 8-12c higher I've got a feeling that the market may work lower as this afternoon's CME session develops unless the bulls get some fundamental feed. Maple Leaf Farms has blamed the rocketing price of corn for its decision to shut down its duck plant in Wisconsin with the loss of up to 200 jobs and slammed the US Government ethanol policy as “misguided”. The cost of feeding the ducks on high-priced corn now outweighs the market price of the birds, a Maple Leaf spokesman was reported as saying. The price of corn has soared because of the ethanol boom with farmers able to yield greater profits selling their grain to ethanol producers who are willing to pay higher prices. In CBOT corn this week, the benchmark May contract rose the maximum 20 cents allowed in a session to settle at $5.44-3/4 per bushel. Rade Dimitrijevic, of Maple Leaf, said: “We've had to offset low demand with a price increase in an attempt to stabilize. That wasn't able to do it. We've tried to manage our way through this. Sources quoted Maple Leaf Co-President Scott Tucker as saying the company had struggled to make the decision but in the end it had no choice. "Unfortunately, we have analyzed the situation, and the only way we can cope with skyrocketing feed costs brought on by the government's misguided ethanol policies is to cut our own production and consolidate some of our operations,” he said. Mr Tucker added: "Feed ingredients represent nearly half of our annual operating costs. In the last year, every single feed ingredient we use has gone up in price, and many have doubled or tripled,". So you are going to plant more soybeans this year, you say? Half of your acreage? More than half? Mad at anhydrous ammonia prices and planting 100% soybeans? Booked beans for $13 and planning on retiring? Well, we’ll all find out next Monday morning when USDA releases its Prospective Plantings Report, and then it will be time to make adjustments if your intentions are different than what the market wants. Instead of gut feelings, have you penciled out the revenue returns? We have, and they may be different than what you think! Basehor, Kansas-based Ethanex Energy is getting out of the ethanol game, announcing that it plans to file for bankruptcy protection. The development-stage company, formed in 2006, said it failed to secure interim financing of at least $1.5 million for its proposed acquisition of a Nebraska ethanol plant and has terminated the agreement. Last November, the company said it would buy the facility from Nebraska's Midwest Renewable Energy for $220 million in cash and stock. In a filing with the U.S. Securities and Exchange Commission, Ethanex said "in light of its declining liquidity and its inability to obtain interim financing, the company terminated the employment of all employees other than Albert Knapp, David McKittrick and Lisa Hallier and ceased ongoing commercial operations." Knapp is president and CEO of Ethanex, while McKittrick serves as CFO. Hallier's title was not disclosed. Ethanex said in November that the 26 million gallon per year ethanol plant in Nebraska was undergoing a two phase expansion to produce 111 million gallons per year. The company originally planned to build three ethanol plants, each able to produce around 110 million gallons of the gasoline additive a year. Its organizers raised $20 million in a private stock offering in 2006 and then registered the shares for public trading. Shares dropped 9.1 cents in over-the-counter markets Monday to 17 cents a share. The company had held a reverse stock split in January in which shareholders were reduced to one share for every 10 they held. At their height in October 2006, shares traded above $48, when adjusted for the reverse split. Ethanex had shifted strategies in November, agreeing to buy and expand the Nebraska plant that produces 26 million gallons a year. It hoped the plant would showcase Ethanex’s corn fractionation processes that it said would make ethanol more efficiently. Officials said the shift followed fundamental changes in the ethanol business. Ethanol prices soared in mid-2006, making it cheaper to build than to buy a facility. That changed as ethanol prices dropped, and Ethanex shifted its strategy. The Nebraska deal involved a $50 million purchase of the existing plant, followed by two additional transactions as the plant expanded. In total, Ethanex would pay $170 million in cash and enough Ethanex shares to bring the total to $220 million. But that, too, would depend on Ethanex raising $1.5 million in interim financing while it worked to fund and complete the deal, which it was unable to do. Morgan Stanley sees '08-09 corn and soybean prices at $6/bushel and $18/bu, up from last month's forecasts of $5/bu and $15/bu, respectively. "Inventories are expected to tighten even further from current levels," says Morgan Stanley. "Prices will need to move well-above currently depressed levels to ration growing demand in an effort to prevent inventories from falling to record lows." Brazil's 2007-08 soy crop is 62% sold as of March 24, farm consultancy AgRural said Tuesday. At the same time last year 51% of the crop had been sold. No. 1 soy producer Mato Grosso has 80% of its soy crop sold compared with 72% last year. Parana, the No. 2 producer, has sold 53% of its crop compared with 41% last March, and Rio Grande do Sul, the No. 3 producer, has sold 40% compared with 23% last year. Wheat, uranium, its all the same! By the end of 2006, come New Year prediction time, uranium was the hot tip for 2007 (just as grains were this year). For five years or more the price of uranium had crept up beautifully, without anyone appearing to notice. Looks just like wheat doesn't it! the old crop, 6 to 14 higher in the new crop; wheat mostly 15 to 25 higher. is higher as well. Look for volatile trading action to return. The chief executive for Swiss food giant Nestle is warning against the production and promotion of biofuels. Peter Brabeck-Letmathe, widely quoted in wire services worldwide over the weekend, says planned subsidies for biofuels are "irresponsible and immoral" according to some reports. In statements made over the weekend, Brabeck-Letmathe says there will be no food left to eat if 20% of the world's oil demand is fulfilled by biofuels. He claims that water and land for cultivation are becoming more scarce. The drive to biofuels is also behind the rising prices for soybeans, corn and wheat, he says. His call comes along with renewed warnings from the United Nations Special Rapporteur on the Right to Food - Jean Ziegler - who also issued more warnings. Crude oil and gold extended declines Tuesday as the dollar rebounded on speculation the Federal Reserve's efforts to combat a housing slump and a shortage of funds in credit markets may restore investor confidence. The Fed lowered interest rates last week, agreed to accept a wider range of collateral on loans and extended credit to securities' firms for the first time. Gold for immediate delivery dropped as much as 1.4 percent to $906.79 an ounce in Asia and traded at $917.90 an ounce in Singapore at 4:58 p.m. today. Gold, which has plunged 11 percent from its record $1,032.7 an ounce on March 17, is still up 10 percent for the year. Crude oil for May delivery fell by as much as 1.8 percent to $100.02 a barrel on the New York Mercantile Exchange and traded at $100.56 at 5 p.m. Singapore time. Prices for the most active contract are still up 60 percent in the past year. U.S. crude oil prices are likely to fall toward $90 a barrel this spring as the country's slowing economic growth encourages traders to exit commodity markets, Goldman Sachs Group Inc. said in a report on March 20. "Following the recent sell-off, we believe further downside risk in wheat is limited," says Goldman Sachs. Tight old crop supplies will support prices near-term before larger '08-09 harvest, Goldman says. Goldman's 12-month price forecast for wheat is $8.50 a bushel. Erm, I'm no expert Goldman but isn't that $2.00 below current new-crop levels, giving us a 20% downside? US distillers grains production exploding - where will it all go? If the tail sometimes wags the dog, what are the implications for the US beef industry as mountains of distillers’ dried grains are produced in the US? Do ethanol refineries attract feedlots? Do beef rations undergo a renovation? Will cattle production change as a result of the availability of a new feed? What does the crystal ball have in store for the cowboy? Ethanol refinery capacity in the US increases daily and high oil prices will allow it to reach the maximum of 15 billion gallons per year from corn before the 2012 target date. But for every bushel of corn converted into ethanol, there are 17 pounds of distillers’ dried grains (DDGS) that are also produced, and this perishable product has to find a home. The Center for Agricultural and Rural Development (CARD) at Iowa State forecasts 40 million metric tons of DDGS will be produced by 2011, and possibly 88 million metric tons by 2016. The CARD analysis looks at future use of DDGS, its implications for the livestock industry, and the impact of surpluses of DDGS to the ethanol industry. eCBOT futures are mostly firmer this am in follow through from last nights close. The reason cited being "speculation declines in prices of agricultural commodities may attract buyers as governments seek to boost imports to curb food prices." "South Korea, which imports almost all its grains and energy, will remove import tariffs on corn and milling wheat and reduce duties on oil products after record raw materials prices sent inflation surging, the Ministry of Strategy and Finance said today." Well, South Korea's import duty on soybeans is zero already, and on corn & milling wheat it's a massive 0.5% so removing the duty isn't going to make a huge amount of difference is it? It's getting a bit bizarre that unless Chicago finishes anything other than limit these days it's a bit of a let-down. Thursday ended limit down for beans & oil, at or near limit down corn and 86 1/2c down on nearby wheat. only meal bucked the trend closing just 40c down on nearby May, although Dec 08 finished with losses of $14. It's not a holiday in the US Monday where the market has turned around and closed at or near limit up on everything. That keeps things nice & simple for us on Tuesday morning because effectively most things are unchanged!